Where would MindWise be without our wonderful volunteers? Last year MindWise involved over 100 volunteers, giving their valuable time and skills within a variety of roles. But what's it like volunteering for MindWise? More than 50% of volunteers stay with us for 2 years or more, working in a wide variety of roles and areas. Diane, Rosemary, Anne, Lyn and Ruth all support the shop, while Ken, Celine, Andrew all support service users to engage in activities such as art, music and computers. Andrew got involved in volunteering to help out. For him, meeting people and giving back to the service is what's important. 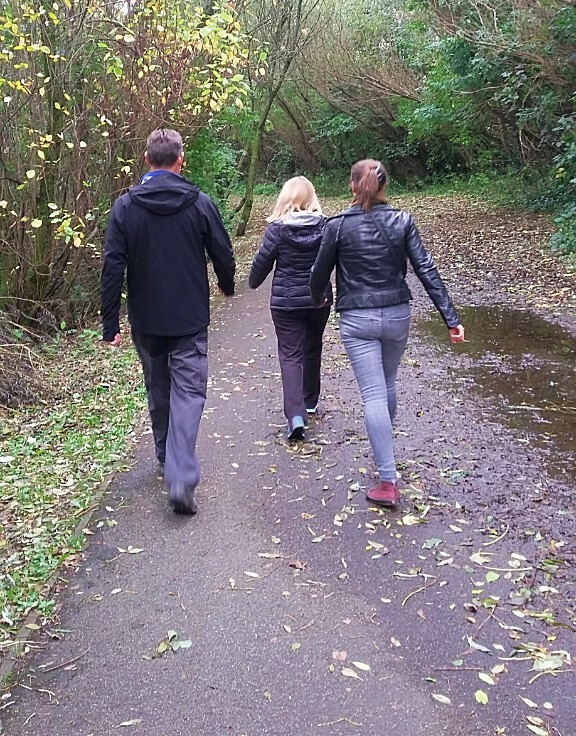 He believes that the activities facilitated by our volunteers gives people a chance to escape from their illness and to get out and about. Celine got into volunteering as it was recommended by the careers service when she was looking for something positive to do. She loves the interaction with people, getting involved in activities and seeing what people are capable of. She believes that by providing activities like crafts on a long term basis grows trust, freedom of choice and makes the centre look welcoming and bright through art projects. Volunteers play a key role in the Ballyclare resource centre and bookshop on a daily basis. 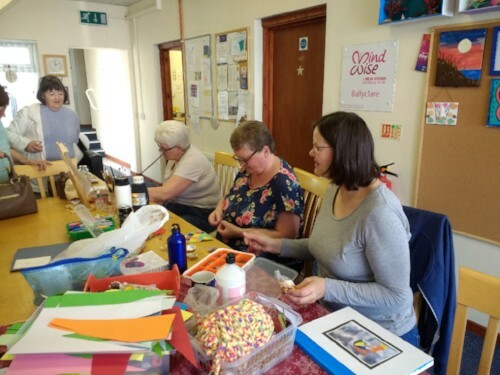 Volunteers give their time to the shop which not only helps raise funds for the service but also helps to raise awareness of MindWise in the local community. Volunteering in the charity shop is also a great way of building self-confidence and skills. Celine has the patience of a saint, she's very understanding. She makes you feel relaxed, so you're not afraid to ask for help or to try something new"
"I find the sessions relaxing"
The sessions are something to look forward to, and it's great learning a skill"
It gives me a great sense of achievement, gives you confidence when someone comments on your work"
Belfast Resource Centre. 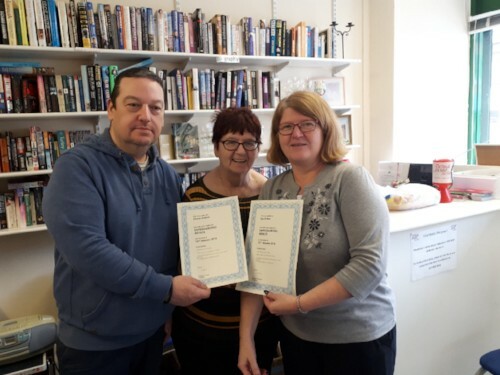 Belfast Resource Centre is very busy and has always hosted a number of varied roles, from befriending from Paula and Stephen to photography from Kevin and arts and walking group facilitated by Ruth. Roisin has also done a range of activities on a Friday afternoon including book folding, crosswords and creative sessions. I got involved in volunteering with MindWise because I’ve always been keen to work with people in a social care setting and have had a wide range of previous experience working in this area. Health conditions have meant that I have been unable to work for some time now, however MindWise has provided me with fantastic opportunities to continue in some way doing the kind of work that I love! I hold a group every Friday afternoon in BRC and which is an “open” group really. This means that I am open to any suggestions for any activities members may be interested in doing! So far this has included things such as trips out in the local area, arts and crafts, group games /puzzles/ crosswords/ quizzes, relaxation, discussions/ storytelling and movie afternoons. What I enjoy most about volunteering is the satisfaction of knowing that what I do really does count because, as members have told me, they look forward to the opportunity the group provides to just get together with peers and enjoy each other’s company. Very often when an individual struggles with mental health issues opportunities like this may be harder to come by or avail of which is why I think groups like this are important. As the Photography Group facilitator in MindWise Belfast Resource Centre, I very much welcome the opportunity to work with the group in the centre and during organised trips around Belfast taking photographs together. 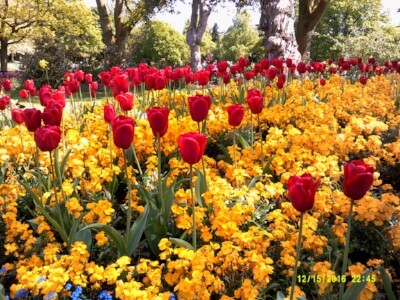 I teach the basic of photography, in all its forms; be it Digital Mobile-phone photography, compact camera photography through to Digital Single Lens Reflex (DSLR) photography (and everything in between)! We have been running since January 2018 and continue once a week, at present with a view to producing our own Photo-Book; using Online software, we have also been designing and creating our own photo-book for print! Photographing indoors and outdoors allows the group to learn and develop new skills and see things they may not always see and experience – together! New MindWise members are always welcome to drop by the Photography Group, and as the group consists of 5-10 members; we cater for all levels and interests. 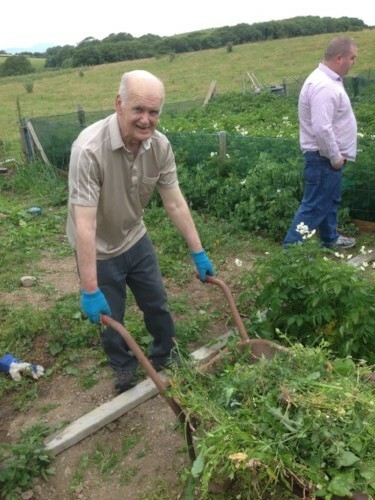 Our Downpatrick Resource Centre holds a variety of activities and groups, including gardening, arts and cooking. You may have seen them recently in the Belfast Marathon! Patricia is an absolute godsend to the centre and the activities she provides along with Drama are invaluable to the centre. She is like a breath of fresh air and has a very bubbly and enthusiastic personality. David supports with cookery and also provides Boxercise each Friday. He is a valued member of the volunteer team and to those who attend the centre for activities. He always willing to help out and is very warm and friendly person. Rosie has brought some welcomed new skills to the team and is always willing to get involved with planned parties or craft fairs... her sweets scones and other delights are indescribable. Very warm and friendly, and the service users have really taking to her and the staff to her cooking. Events and fundraising is an incredibly varied role to volunteer in. 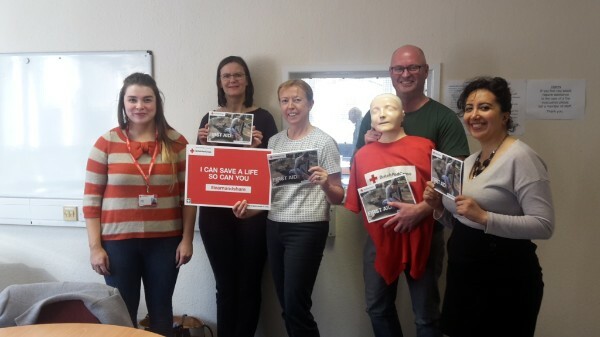 Our volunteers have been there at a huge range of events, including the Belfast City Marathon, and they also deliver training and talks on mental health. I started volunteering for MindWise in 2015 as I wanted to get out and do something. I know how important their work is in helping recovery as they have helped me in my recovery. I am a volunteer facilitator. I love delivering MindWise brief mental health awareness sessions. I enjoy meeting different people in different groups and hearing their understanding and opinions on Mental Health. I also participate in fundraising events which are enjoyable and done with other volunteers and staff. I have set up several MindWise information stands at various health days/events etc. Meeting people and hearing about their experiences of mental health is very rewarding. There is positive feedback back both verbally and on the evaluation forms. People value that it's delivered by someone with personal experience. Anyone who receives our newsletters will know Sam, our communications volunteer. Sam contributes content to our newsletters, and finds the best, most useful mental health stories out there. I joined Mindwise as a communications volunteer because I wanted to utilise and build upon my writing abilities, and mental health was an issue that I had studied extensively. As a result, I felt I could contribute to an organisation that does a great deal of good. What I particularly enjoy about my role is that I get to research fascinating insights into mental well-being and cognitive performance. The opportunity to learn how to build a resilient, positive mind-set and then share this information with others is very rewarding. If you want to volunteer, my advice is go for it. Don’t sit around and over-think it. Nothing ventured, nothing gained. 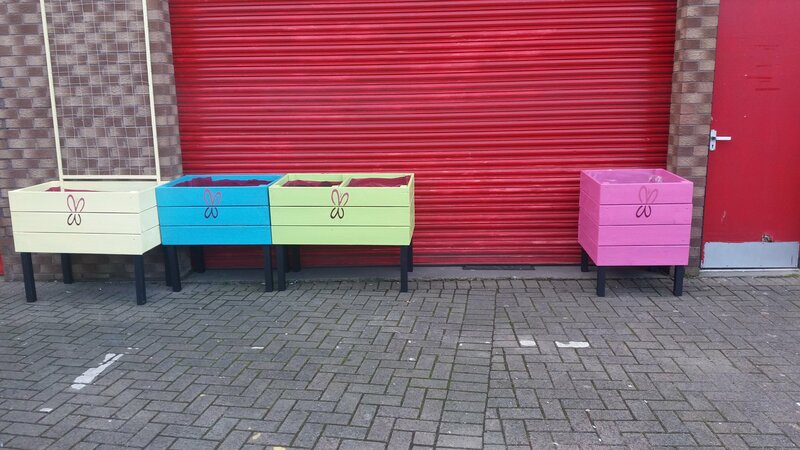 Our Magherafelt service has emerged from New Style Furniture, a volunteer and service user led shop. Woodwork and crafts continue to be a focus on activities and recently project making planters has been a great way to welcome in the springtime. Seamus, Liam, Ian and Slawomir are all great volunteers. "I like to give something back as I have recovered". "My life has changed since I started to care for people". "I never knew that being a volunteer could make you feel so good inside". "I thought they were all staff"
"We would be beat without them"
"They make me feel safe when we go out for walks". "I love the lot of them"